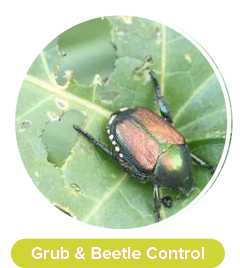 Since 2004, Joe has been involved in the research and development of microbial-based probiotic products for use in turf care, horticulture and agriculture. Previously, Joe had 20 years of experience as a research scientist and project manager in the biotech industry. As co-founder and president of Green Earth Ag and Turf, Joe has expertise in methods for building healthier soil, integrating greener methods into professional practices and reducing inputs and costs. Joe is also a frequent invited speaker, radio interviewee and writer for trade magazines and online publications in the green industries. 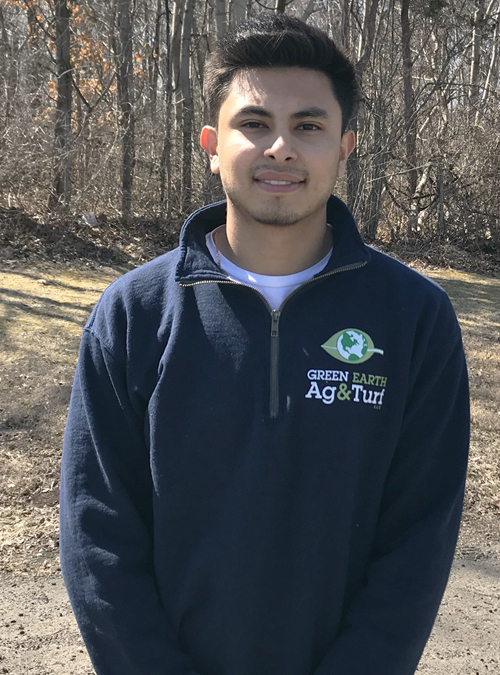 Joe is a member of the Connecticut Nursery and Landscape Association's (CNLA) Winter Symposium & Summer Field Day Committees. 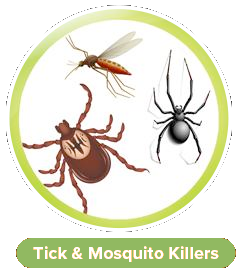 Joe has a Master's Degree in genetics (with a microbiology focus) from the University of Connecticut (Storrs), and has had his research published in scientific journals such as The New England Journal of Medicine. Although his title may not be President or Vice President, Marcus truly is the boss of Green Earth Ag & Turf. 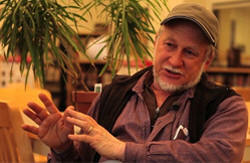 A born naturalist, Marcus is well versed on many of our organic products, and has his own fruit farm and garden. If you ask him about soil probiotics or chicken poop fertilizer, he will be more than happy to explain to you how they work (pack a lunch). Marcus has a degree in general studies (with a focus on recess) from Fourth Grade. Marcus brings his unique expertise from elementary school, such as pencil sharpening, doodling and dry-erase board cleaning, to the office everyday. He especially likes heavy equipment such as forklifts. 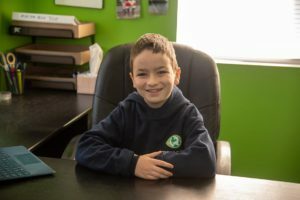 The heir to the throne, Green Earth Ag & Turf is in good hands for many years to come. Without Ally, Green Earth Ag & Turf would have collapsed under a sea of orders and disorder. When she came on board in 2018, she set about organizing the office and managing the many tasks a business needs to function. Her other main task is to keep Joe in line. Ally has extensive experience running her own clothing website, as a tour guide, receptionist, in HR and executive assistant. If you call Green Earth, it is very likely you will hear Ally's cheerful voice answering the phones. Nate is a graduate of Susquehanna University's English department with double majors in Creative Writing and Publishing and Editing. 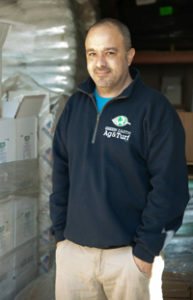 He brought his expertise to Green Earth Ag & Turf in the summer of 2014 packing boxes, delivering product to customers, and these days, building Green Earth's shiny new website and updating its catalog. 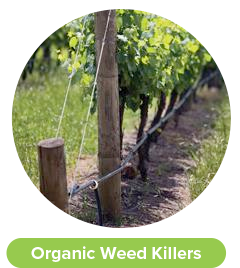 Over the years, he's also absorbed enough information to have a rudimentary understanding of the application of Quantum Growth and the many other organic products carried by Green Earth Ag & Turf. 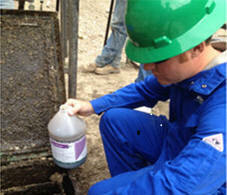 Gustavo ensures that our customer's experience with Green Earth Ag & Turf is of the best quality. From customer service to receipt of product, Gustavo makes sure our warehouse and materials are ready to go. Gustavo is working on an MBA in Business Management from Quinnipiac University, a 4+1 program. Gustavo is an avid soccer player who teaches his skills to kids in his free time and enjoys music and community service. Also fluent in Spanish, Gustavo acts as a translator when needed. Michael, Better known around the office as "Dyna-Mike", is currently working on completing both his Master’s degree (MBA) and his Bachelor's Degree concentrated in Operations and Supply Chain Management at Quinnipiac University. Having joined our team in the summer of 2016, Michael gives wide spread support in our logistics and forecasting department of the company. He also helps the day-to-day operations of the business run efficiently by processing invoices and shipping our products to the customer. 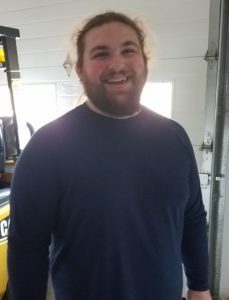 Pete joined the team in February 2019 after a long stint as a chef for a local tavern. He brings with him his trademark charm and wit as he pursues a Biology degree from Middlesex Community College on his road into the medical field. In addition to helping keep our extensive warehouse organized with our great products, Pete is responsible for the packing and shipping of our products so be on the lookout for his notes on receipts written in a doctor's scrawl he's been working on since high school. Emily Magazzi is an avid organic gardener and landscaper. She combined her love for all things green with her background as a scientist to co-found Green Earth Ag and Turf in 2009. 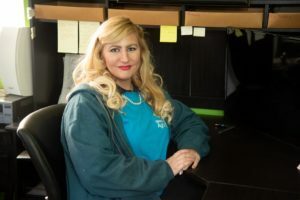 Emily is a Connecticut Accredited Nursery Professional (CANP), and uses that expertise to advise clients on issues related to growing and treating plants, trees and turf. Emily is on the board of the Connecticut Nursery and Landscape Association (CNLA). She also serves as the chair of the Education Committee, helping to educate nursery professionals in plant, tree and shrub botany and identification. Emily was the recipient of the 2014 New England Nursery Association's (NENA) Young Nursery Professional of the Year Award. Emily has a degree in genetics from the University of Georgia. Brandon Kail and his colleagues at Rocky Mountain Bio-Ag™ work closely with Green Earth Ag and Turf in the mid-western and western United States. Brandon grew up in farming and operated a landscaping/grounds maintenance company, SupremeGreen Lawn Service, for 5 years. As such, he brings a tremendous amount of technical expertise and hands-on experience to our customers. 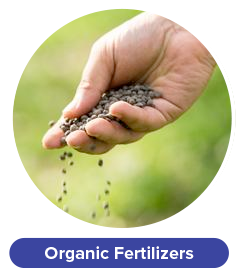 Brandon works closely with commercial agriculture producers and landscapers/turf care professionals to help them implement biologicals, eco-friendly nutrient supplements and greener products into their growing practices. Brandon is also helping to pioneer the use of biologicals in reclamation and remediation projects for major international oil and gas producers. He organized the first meeting of major agriculture producers in the Uncompahgre Valley of Colorado to introduce new technologies to this agriculture-rich area. 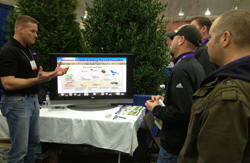 Brandon studied at the University of New Mexico, Albuquerque and is the President and founder of Rocky Mountain Bio-Ag. Mark Fulford is a well known, independent farm consultant and educator whose expertise include organic and biological agriculture, organic no-till crop production and growing nutrient dense crops. 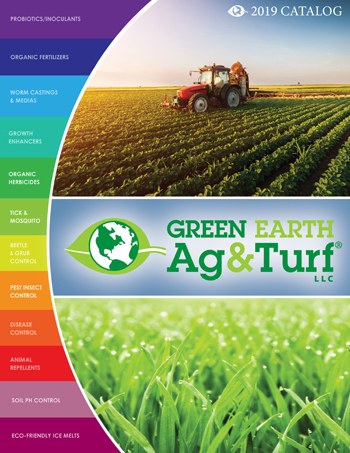 As our "Farming Yoda", Mark and Green Earth Ag and Turf work together to improve soil health with practices that improve soil biology through supplementation or stimulation. This includes testing amendments with Green Earth that improve soil health and function (pre-biotics) that Mark ultimately uses with Lancaster Ag's nutrients to develop custom blended, field-specific soil amendment recipes for organic and nutritionally focused farm operations. Mark draws upon recent discoveries in the soil and plant worlds with improved methods to allow the widest availability for inputs and skills to give farmers and consumers the best quality possible. "High nutrition agriculture is not something that happens by chance." Mark's Lookfar Ag Services are inspired by over 40 years of agricultural experience and 30 years operating his own diversified farm in Maine. 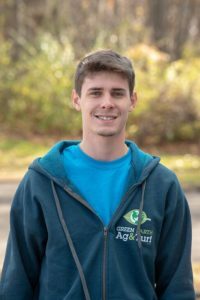 He has studied with some of the most accomplished mentors in biological agriculture: Dr Arden Andersen, Neal Kinsey, Dan Skow, Gary Zimmer, Elaine Ingham, Jerry Brunetti and Dr Norman Uphoff - among others. Mark has spent time in China, Australia, Mexico and the Philippines to further develop his knowledge base, including on the latest biological farming shift known as System of Rice Intensification (SRI), which he is adapting in the US as a method to improve grain and row crop production practices by maximizing biological soil function and photosynthesis. Mark and his wife Paula own and operate Teltane Farm in Monroe, Maine. Aaron Sane has many years of real field experience as a certified arborist and developing biological products and strategies to integrate those products into tree, plant and turf care programs. 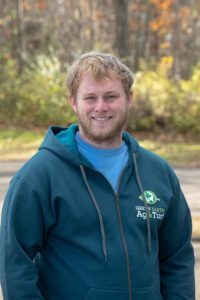 Aaron brings this extensive experience to Green Earth Ag and Turf, consulting for us and our customers on all things related to not just tree care, but to all of our programs - especially relating to Quantum Growth probiotics. After graduating from West Point, Aaron served honorably in the United States Army as a helicopter pilot. After his time in the Army, Aaron became a certified arborist and joined Selvig Tree Appraisal Company. Using his field experience integrating biologicals into tree care, Aaron helped develop Quantum Growth probiotics, a biological product line that is now being used across the world to help growers and tree and turf care professionals go greener by reducing fertilizer and pesticide use while saving money and getting better results. 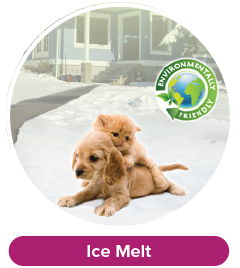 Aaron is with Ecological Laboratories, the only company that has been producing biologicals for over 35 years.